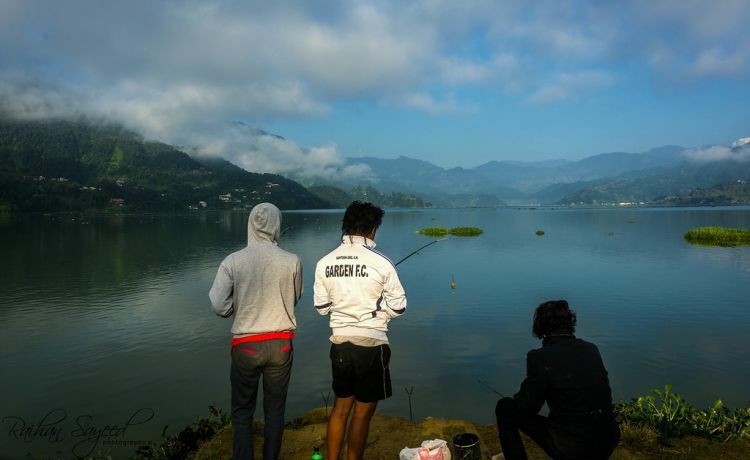 Phewa Lake is the famous lake of Pokhara valley. It covers an area of 4.4 sq.km. Its average depth is 8.6 meters and its maximum depth is 19 meters. About 22 native species of fish are found in the lake. A stream called Harpen Khola enters the lake from the western end. World Peace Pagoda, a massive Buddhist stupa, is situated on the forested hill on the southern side of the Lake. The island temple is in the middle is called Barahi Temple. The serenity of Phewa Lake and the magnificence of Fishtail Summit have created an ambience of peace and magic. The southeast shore of the Lake is centered for sun, fun, music and meal. Fishing in Phewa Lake is the great recreational thing. Nothing is there to obstruct you. Everything you find just charming- fishing and viewing. Day 01Whole day fishing at Phewa Lake: Breakfast in the morning, Go for fishing-Time for Lunch and evening back to Hotel. Overnight at Hotel in PokharaIt is easy to make a plan for fishing any time in the day we want. But mostly, after breakfast, with the mild sun shine, we move on the bank of Phewa Lake with the necessary stuff for fishing. It could be our lucky day having more fish, then we take our lunch and return back to hotel in the evening.